1. Find a focal point. If you have a 55-inch TV and you love having people over for the big game on Sundays, then it might be a good idea to make your entertainment center the focal point of your space. But if you’d rather kick back with a good book or family board game, perhaps the seating arrangement should be your primary focus. Whatever the focal point, make sure the rest of the room’s furniture and arrangement doesn’t overpower that. 2. Know your lifestyle. Are you big on entertaining? Do you always host the big family Thanksgiving? Having comfortable seating – and plenty of it – should be an important consideration. 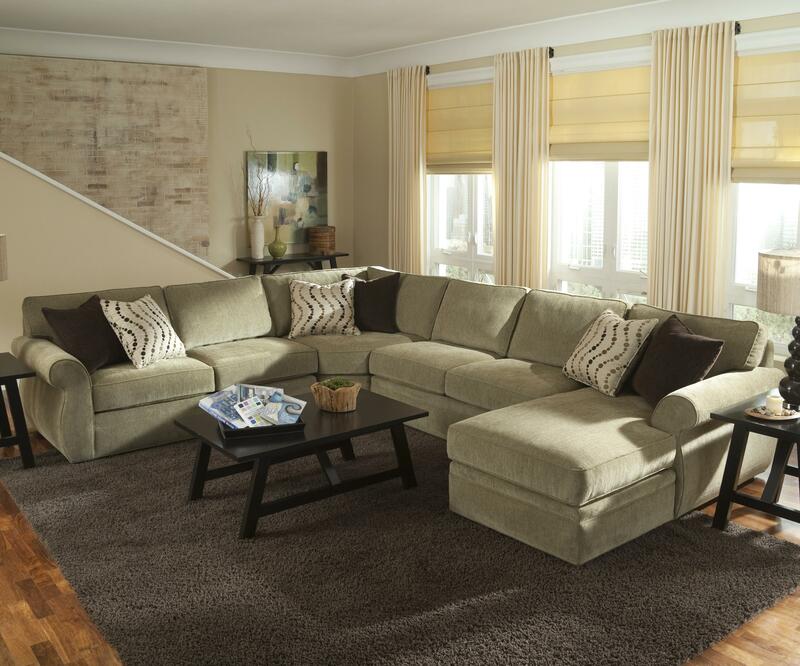 For these families, we like suggesting a stylish sectional or even a nice sleeper sofa for those out-of-town guests. 3. Plan ahead. If your current abode is an 800-square-foot apartment, then you might not be able to accommodate the love seat, sectional sofa and huge entertainment center you had in mind. Before you start making your mental wish list, plan ahead and get realistic. Buy furniture that will fit your living room without making it too crowded. If you relocate to a bigger place, Mueller Furniture will always be here to help you furnish! At the end of the day, the right living room furniture for your home is up to you. At Mueller Furniture, we’ve got the selection of furniture at the right prices to make your living room – or any room – come together. Stop by our showroom in Belleville or check out our selection online to get started!